This guide explains how, why and when to use the Magic Tower in Uptasia. What is the Magic Tower? 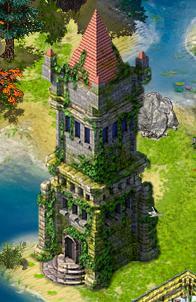 The magic tower is available to all players who have reached level 6. 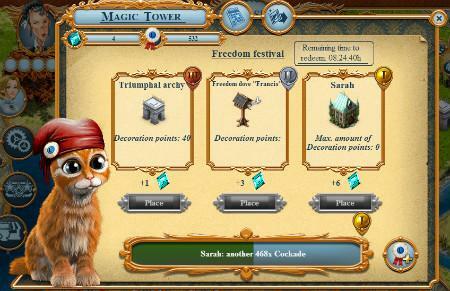 The magic tower lets you participate at events that will be held at regular intervals. These events are split up into three phases: the phase of collecting, redeeming and a cooldown phase. During the first phase, completing hidden object games will gain you collector's items valid only during the currently active event. These collector's items will help you unlock rewards - a bronze reward, a silver reward and a gold reward. 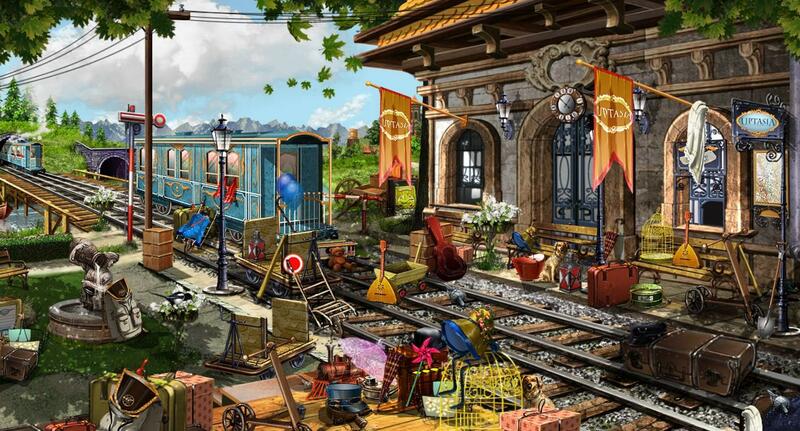 These rewards may be decorations or residential buildings you can place on your map. This shop is available at all times, and the crystals you gather during one event will remain available even after it has ended (if you haven't redeemed them, of course). Didn't manage to gather enough of the collector's items valid during the current event? Lacking event item can be purchased using our premium currency gems during the collecting as well as the redeeming phase.